“After months of speculation and despite the recent assurances to the UK from the EU on their commitments within the Withdrawal Agreement, this evening's vote is disappointing and only prolongs the difficult position which many Irish businesses have found themselves in for some time. As we were reminded regularly by EU leaders following its publication, the Withdrawal Agreement is the only agreement available that ensures an orderly withdrawal. What is clear is that there will be no compromises on it from the EU negotiating side and that agreement is needed to provide certainty. It is vital that the UK Parliament urgently signals its intentions on what it plans to do next after this evening's outcome. 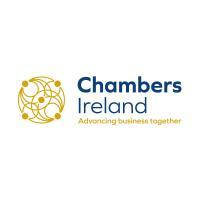 In recent months, Chambers Ireland has been ensuring that its members have been made aware of all tools being made available to assess risks, Brexit Preparedness notices and Contingency Action Plans provided by the EU and the Irish Government. In the wake of this evening's vote, we continue to advise that these notices and communications are acted upon, and the necessary preparations are made for a no-deal scenario. Ultimately a “no-deal” departure on 29 March is not a credible or viable outcome for either the UK or the EU economies. Nonetheless, we must prepare as best we can in the time left to us. We look forward to greater clarity in the days and weeks ahead."